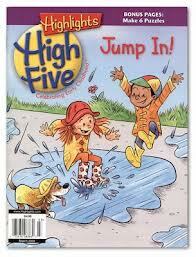 “My First Hidden Pictures” and “That’s Silly!” are two favorite features of the magazine. It says it’s for ages 2 to 6, but it’s hard to imagine any two-year-old tracking with it. Better for slightly older kids. It comes from the National Wildlife Federation. Given our five-year-old’s penchant for all things animal kingdom, this one is a hit. Today we learned from the April 2013 issue that giant tortoises can live to be 150 years old. Whoa. 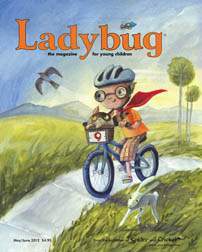 From the Cricket Magazine Group, Ladybug is the next age level up from Babybug (see below). Max and Kate are a fun ongoing storyline each month. 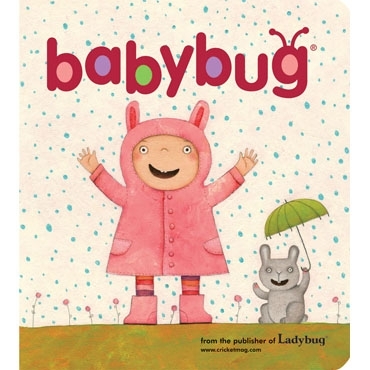 Our five-year-old transitioned to this a year or more ago when he was getting too old for Babybug. 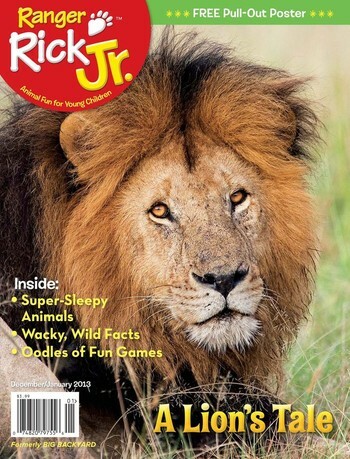 The awesomeness of this magazine caught us all unaware–I’d never heard of it before a grandparent-sponsored subscription began arriving in the mail. The March 2013 issue theme is “The deep blue sea.” Our five-year-old did the “make a fish” project on his own right away, with some scissors and glue. The magazine’s “Ocean Zones” section this month introduced us to the sunlight zone, the twilight zone, and the midnight zone, each of which support interesting and diverse kinds of life. Babybug is really sweet. It is “for babies who love to be read to and for the adults who love to read to them.” (It’s good for toddlers, too.) Kim and Carrots is a favorite each month, and always seems to be appropriately themed for the time of year. Simple yet engaging illustrations go with memorable and fun-to-read poetry. 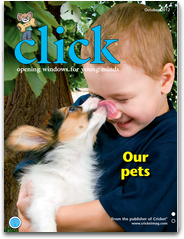 No part of the magazine is more than three pages, so not a long attention span is required. It’s not uncommon for us to ask our two-year-old to pick some books to read, and for him to come to us with three Babybugs. How about any of you who regularly read to children? What magazines do you recommend?